Bangalore itself is a romantic city thus while celebrating the day of love here you will get a lot of options. 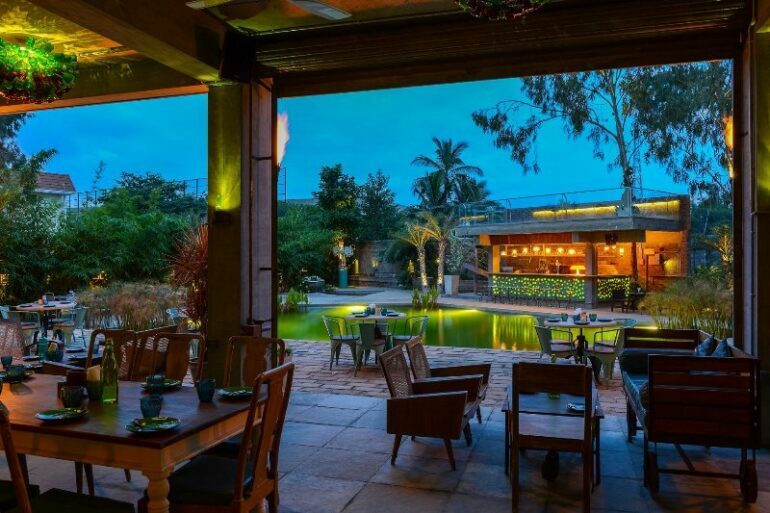 More or less every restaurant out in Bangalore will be in the mood of celebrating love, but which one is perfect for you two? Do not get confused as here is a list of the most romantic restaurants that will help you choose yours for that special night. The location of this restaurant may be amidst the city hustle and bustle but this fine dining restaurant has never failed in making food connoisseurs satisfied. 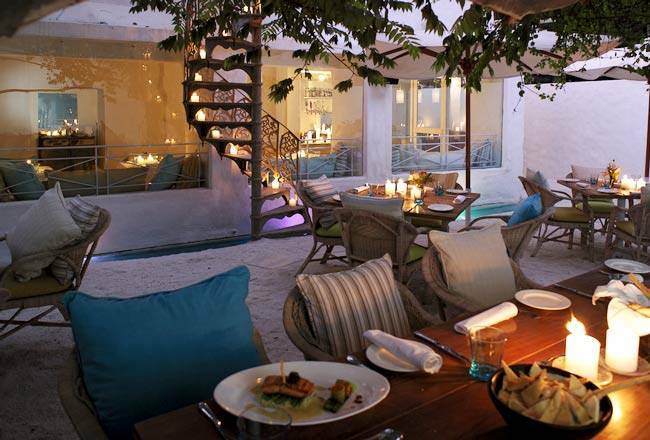 Enter through the blue door of the restaurant from the noisy Ashok Nagar streets, and you have a Mediterranean escape. The stark white walls with the colorful motifs are something to make you feel comfortable. Treat your love with the gourmet dishes and fine wine. You will get the most romantic atmosphere that is created by the dimly lit old fashioned lanterns along the white walls. Big Brewsky is in this list for many things it offers. Spread across a lavish 23,000 sq. ft. areas, this microbrewery is one of the largest in South India. The ambience is perfect for valentine Day and any other romantic outing with its starry lights blended with the chic water bodies. Even the contemporary décor is eye catching and gives romantic feel. On valentine night treat your love by booking a table around the pond. Enjoy the savory food here and spend hours chitchatting. Om made Café is a simple place to give an extraordinary feel on Valentine Day. 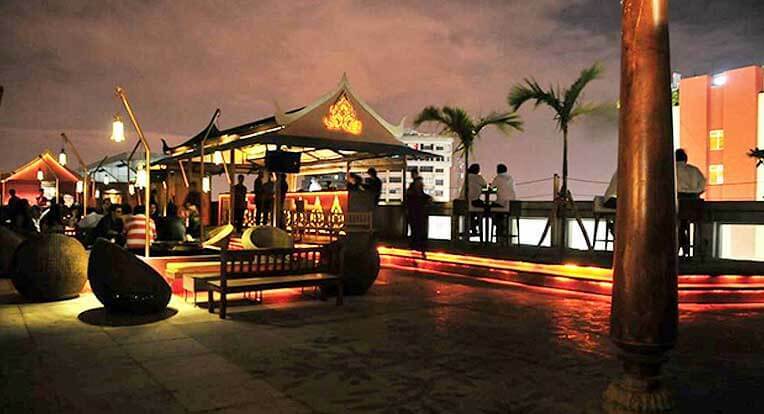 This rooftop restaurant is ideal to take her and spend some quality time under the starry sky. The peaceful setting will give a tranquil feel and you will love everything out there. They serve only wine along with continental food. Thus, you both will get a lot of options to choose that are healthy. Stay healthy and enjoy valentine day. It may not be a well-known restaurant, but if you are looking for something simple yet romantic, head to Café max. It do not have any extra ordinary settings but whatever it has is very charming and ideal to make your love feel loved. They serve continental dishes and the cozy settings along with that is enough to charm her again. 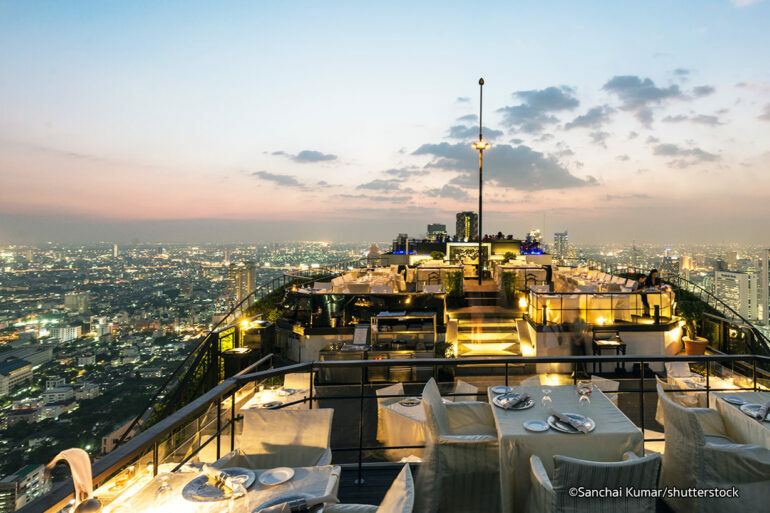 Set in the MG Mall, this roof top restaurant will take you into another world the moment you step in. decorated in Asian theme this restaurant has everything to make Valentine special for both of you. The Pan Asian dishes may be on high notes but then it’s Valentine Day and you are there to treat your love. Go ahead and enjoy the evening.